Case Study: Versatile Utilization of Drone Video Transmission Technology in Mie Prefecture｜Implementation Case Study｜SENSYN ROBOTICS, Inc. The purpose of this proof-of-concept is to verify the usefulness of drone utilization in administrative activities, for example disaster recovery, facility management, and transmitting sightseeing information, by sharing in real time the images captured by the drone among various offices in remote locations, as well as exchanging ideas between these offices, based on the comprehensive agreement related to regional revitalization using drones with Mie Prefecture. This proof-of-concept took place in Kihoku with imagined damages from large scale natural disasters, for example heavy rain caused by the Nankai Trough earthquake or typhoons. 3 locations in Kihoku are filmed using drones. The images are transmitted and shared in real time among four relevant administrative offices using V-Cube Robotics solutions, and live conference is held in five locations, including the administrative offices, take off and landing locations. 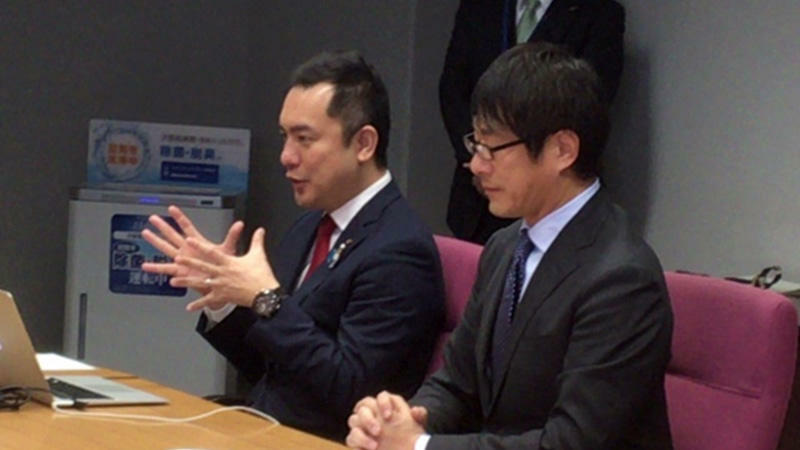 The proof-of-concept confirmed that it is possible for Kihoku and Mie Prefecture administrative offices to exchange ideas among themselves while checking the situation at the sites in real time and to make decisions, for example when disaster strikes while the relevant parties collaborate immediately.